You never know when you will need an emergency car kit to help you when you are stranded somewhere. In most situations there are other vehicles traveling the road or there are homes near by. But what do you do if you are traveling in the country late at night? Maybe your traveling in one of the western states with few homes, towns or places you can go for help. On some highways it can be over 100 miles to the next place with services. Having an emergency car kit in your car can make life much easier for you while waiting for help! Don’t get stranded on the road without these essentials. You never know how long you may need to wait for help especially during winter storms. For more posts about safe driving topics, click here. Many new high end and medium end cars are now equipped with a tire pressure monitoring system (TPMS). It is an electronic system which monitors the level of air pressure in your vehicle’s tires and reports that pressure to you on your dashboard. This is a truly great system that flashes a warning on your dash if one of your tires is low in air pressure. Some air pressure systems will tell you which tire is low, while others will only tell you that one of your tires is low in air pressure. I actually prefer the one that does not tell you which tire is running low on air since it means you actually have to go and check the pressure on each tire and pump up the one that is low and perhaps also top up the other tires as well. They might have been slightly low on air, but not enough to trigger a dash alarm to you. There is a strong reason that I feel this way about Tire Pressure Monitoring Systems. It turns out on the cars that I have that the warning only comes on when the pressure as declined by about 4 pounds pressure which is enough to effect your gas mileage as well as handling at high speeds. When that light comes on you really want to check all of your tires to make sure they are at optimum pressure settings and not down a pound or two. 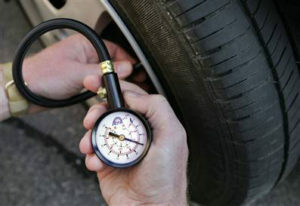 In fact you should be checking your tires pressure at a minimum of once per month. Your vehicle’s tire pressure monitoring system has been actually created not just for you monitor your tire pressure, but to actually help you save your life. Poor handling at high speed or worse a blow out at high speed due to a low pressure tire over heating can cause a bad accident. Avoiding an accident at any time can potentially save your life! The tire pressure monitoring system is made up of just four little sensors , one on each tire, that you can find on your vehicle. When one of your vehicle’s tires suddenly starts to lose air, the system would actually alert you while you are driving so that you would know about your tire’s situation. Pull off the road and check the pressure immediately. You might only have minutes before the tire goes completely flat. New car owners should read the manual and become familiar with how the system works, what will cause an alarm and how low the pressure in your tire is before the alarm is triggered. You can depend on the tire pressure monitoring system to tell you when a tire is getting low on air pressure, however most will not tell you when a tire is slightly below optimum, so we still feel that it is a good idea to routinely check the air pressure in your tires at a minimum of once per month. 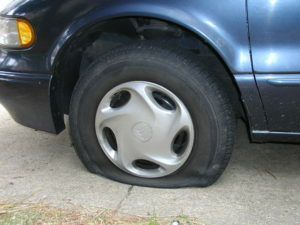 Dealing with a flat tire can be a troublesome event if you are not prepared. When your car’s tire goes flat, this kind of situation should not be a problem for you as long as you are properly prepared. After all, most cars already come with spare tires and a jack, along with other odds and ends that would help you facilitate changing your tires in no time at all. If you are uncomfortable with changing a tire or calling a friend, calling CAA in Canada or AAA in the US as long as you are a member will lessen the task for you. For some it might even be appropriate to try changing their tire when it is still inflated and under perfect conditions as a test run, so that you know how to change the tires. A neighbor had to call his oldest son to come and help him one night at 2 in the morning, because he could not figure out how to change the tire on his car. There are proper ways to change a tire. Always make sure that you are doing so with safety in mind. To change a tire or a couple of tires, park your car first in an area where the ground is level. 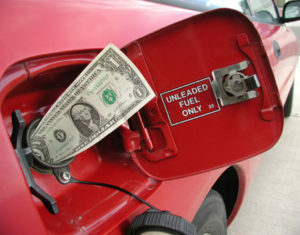 This helps to lessen the chance of the car rolling forward or backwards off the jack. Always place parking brake on before you do any work at all. If your car is equipped with a manual transmission system, place it in gear. Always turn off your engine for there is no need for it to be turned on and running. However, if you have no choice and have to park in an area where there is an incline, put a huge rock or a wheel chock beneath the opposing wheel so that you would not find your car rolling down the incline. In fact whether you are on an incline or not, it is always a good idea to block the wheels if you can to stop the vehicle from moving for any reason. Also make sure you are well away from traffic so you can change the tire safely. Remove your spare tire as well as a tire iron and the jack from the trunk. Remove the hub cap if there is one. Then, loosen the lug nuts on your wheel while the wheel is still touching the ground. Do this before you jack up your car. Make sure that you loosen each and every lug nut that connects your tire to the wheel without unscrewing them completely. As long as the lug nuts are loosened up and not unscrewed completely, there is no chance that the wheel can come off by accident. Following the instructions in your cars manual, place the jack in the proper location and start jacking up your vehicle. Although we are repeating this point again, it is one of the most important things you should do – check your car owner’s manual for the specifics on the location as per where you should put your jack. When you jack your car, make sure that you raise your car a little higher than needed so that you can not only remove the old flat tire but you can also install the new inflated tire. Once the car has been jacked up, unscrew completely all of the lug nuts. Remove the flat tire and place it to the side. Roll your new tire into position and mount it on the lug bolts. Then, place back the lug nuts and tighten them up as tightly as possible without turning the wheel. Now lower the jack until the wheel is contact with the ground but not bearing the full weight of the car. Tighten the lug nuts one more time and then lower the jack completely and remove it. If you have a hub cap, you can now put it back on. We suggest that you have your spare tire repaired as soon as possible, since you never know when you might have another flat tire. Also check the inflation on the spare tire as soon as possible since most tires will lose a little bit of air over time. 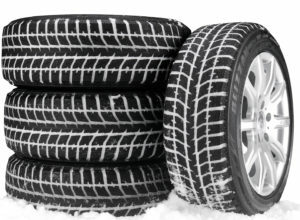 We are glad to receive comments from our readers and suggestions about dealing with flat tires. For more safe driving ideas, click here.